It sounds ridiculous in that context but Honda, the official automobile of the NHL and sponsor of the 2015 NHL All-Star game in Columbus, Ohio, does precisely this for the last player chosen in the 2015 NHL All-Star Fantasy Draft. For those unfamiliar with the event, a couple of team captains are selected to choose their teammates among the year’s best players. The last person selected gets a free Honda vehicle, and this year that vehicle was a new 2015 Honda Accord. Washington Capitals stud Alex Ovechkin, easily one of the best players in the league, wanted a free Accord so badly that he tried hiding his face during the draft behind a piece of notebook paper with “I want to be last. I need a car” written on it. He wasn’t the last one chosen, but Honda went a step further by giving cars to the last two players selected, spreading the good cheer around even more. 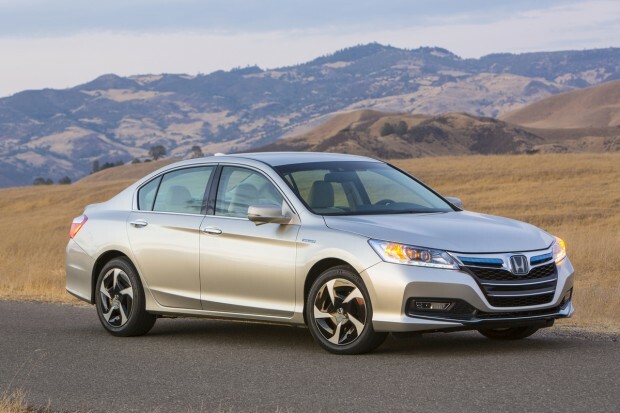 As your San Diego Honda dealer, we’re never shy in sharing that the Accord is one of our best-selling models, but we can think of plenty of customers who would happily bear the misery of being picked last in exchange for a free one!